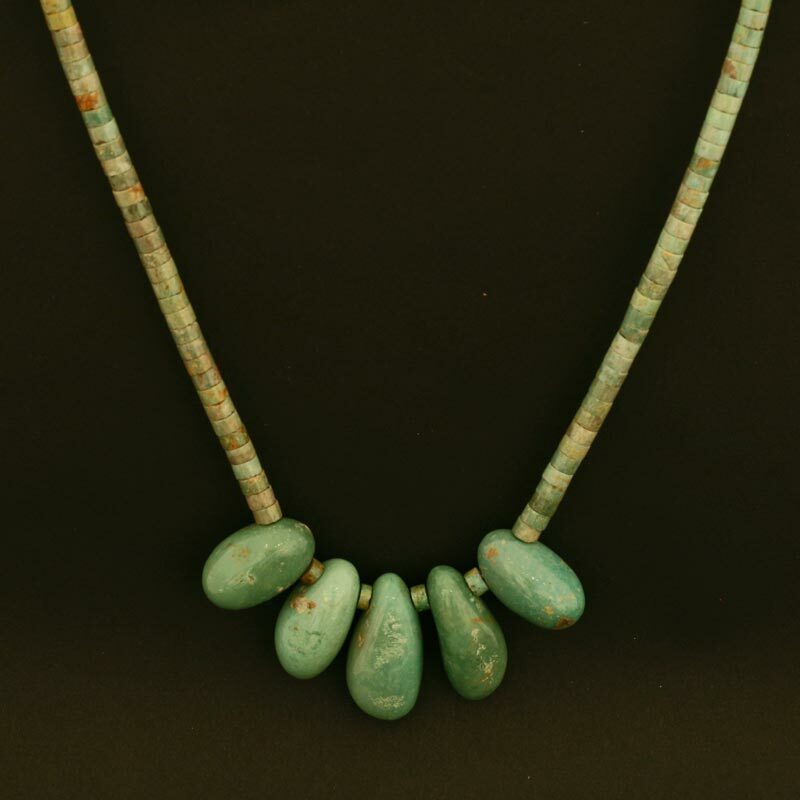 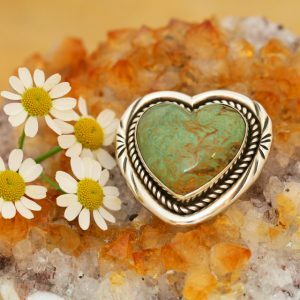 This classic turquoise necklace is made from hand cut drilled and polished beads of green turquoise enhanced by five drilled and polished nuggets of turquoise. The necklace is adjustable in length (40cm – 46cm) and is finished with sterling silver beads, chain and fastener. 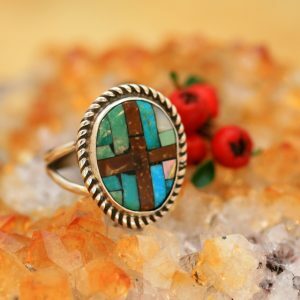 Beatrice Aguilar is a jewellery maker from the Kewa Pueblo tribe who has been making beautiful necklaces for Rainmaker Gallery for several years.